In these clips the historians featured talk about the benefits that students gain from learning to think like historians. Historical thinking is addressed from a number of directions – in relation, for example, to understanding of core concepts, key operations like use of evidence and argumentation, and how history is constructed and the discipline problematised. 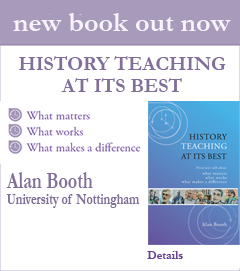 But the historians emphasise that whilst it involves subject-based skills and understanding, history teaching at its best has far wider application in the lives of students, helping to develop habits of thinking and looking that equip them well for living and working in the twenty-first century.